An early rise on Friday for a 7.30 departure to Nantes, which will be our base for the first three days of the tour. 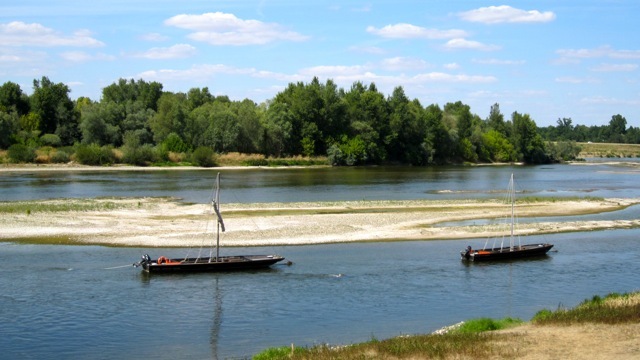 It was a long day in the bus so we stopped mid way near the beautiful town of Blois and took a scenic ride along the Loire to Chaumont sur Loire where we enjoyed a beer before getting back on the bus for the final leg into Nantes. 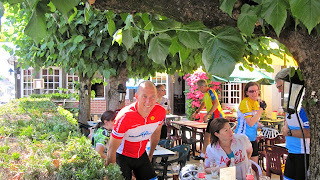 It was a beautiful summer's day with the temperature around 30 degrees and a nice little tail wind to help us along our way. John and Richard on the Loire at Blois. 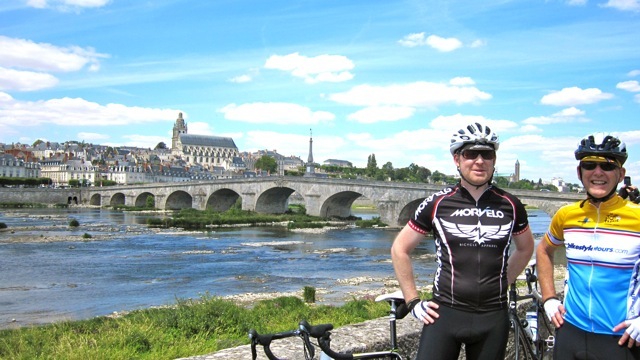 Eric de Clercq, our lead guide, and the crew enjoying a cool drink at Chaumont sur Loire after our ride along the Loire. 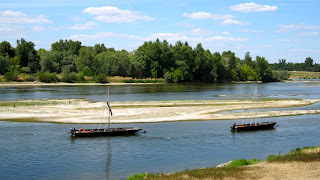 Boats For Hire at Chaumont sur Loire.